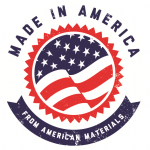 Amramp to Attend CCMC New World Symposium in Washington, D.C.
Case managers from across the United States will hear the U.S. Surgeon General’s insights on the importance of investing in health to build vibrant communities and economic opportunity. 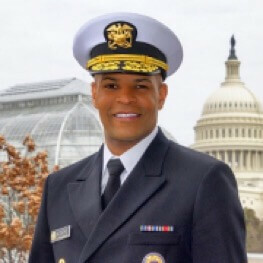 Vice Admiral Jerome Adams, M.D., MPH will present “Better Health Through Better Partnerships” on Feb. 28 during the Commission for Case Manager Certification (CCMC) New World Symposium, in Washington, D.C. Focusing on where people live, work, and play and how it affects their health and economic opportunities, Dr. Adams will highlight the importance of investing in the whole person to provide health improvements overall. The 20th Surgeon General of the United States, Dr. Adams aims to apply patient and family engagement strategies to empower others to invest in health and communities. His goal is to continue a strong relationship within the public health community, while actively working to form new relationships with non-traditional communities such as businesses and law enforcement, creating new opportunities to reach out to audiences in those communities. The Commission for Case Manager Certification (CCMC) New World Symposium includes a diverse group of case managers that will lead to conversations about adaptability, effective planning and intervention, and common challenges, offering new viewpoints to attendees. CCMC’s mission is to advocate for professional case management excellence through certification and interrelated programs and services. The goal is to promote, advance, and advocate for consumer protection, quality case management practice, ethical standards and behavior, and scientific knowledge development and dissemination. “The Future of American Healthcare” by Robert Pearl, M.D.